This Dill Parmesan Garlic Popcorn is a delicious savory snack, and perfect for movie nights, game days, and the Super Bowl! Plus it’s ready in 10 minutes! It’s probably pretty obvious by now that I get fixated on things. Like, that time I ate French toast about 3x/day for 4 months. It started back up again for the first half of this month. I once had a similar phase with sauteed spinach. I haven’t really eaten it since. Four months of non-stop sauteed spinach is A LOT of spinach, as you might’ve guessed. Spinach and I are taking a breather for an indefinite amount of time. Maybe a decade or so. We’ll see. What else? 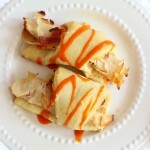 I noticed today that I’ve posted 3 recipes that include bacon just in the last 2 weeks. Oops, I meant to spread those out. I have another one coming up soon too. Eek. There are also obsessions with brown butter, goat cheese, and peanut butter, among other things. As fellow foodie friends, I’m sure you can relate! What are you currently on a streak with? Some of these are fleeting. Most of them are not. I will love them for life, and will stuff them into things however I can! More recently, I am fixated on dill. 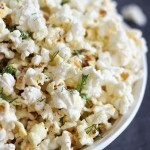 And popcorn apparently – since I just posted a popcorn recipe yesterday! There’s a method to my madness though. 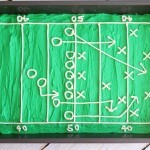 I want you guys to have super easy Super Bowl snacks, and popcorn is exactly that! You now have both sweet AND savory options for game day. Anyhoo, I want dill in everything lately. The more I use it, the more I find that it has a time and place in… lots of places. Like dill and popcorn. They are an obvious pairing. Ha! Maybe not, but I’m convinced now that they belong together, especially when combined with grated Parmesan cheese and garlic! The flavor trifecta of dill + Parmesan + garlic is truly a winner. I don’t turn down traditional butter-and-salt popcorn, but special occasions (and I consider the Super Bowl a big ol’ special occasion!) call for something different. This popcorn will deliver a new spin on a classic snack! 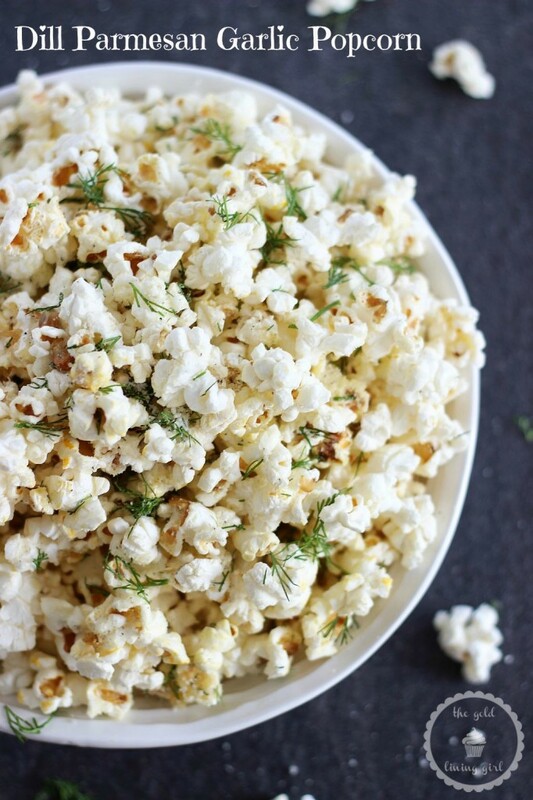 A savory popcorn with fresh dill weed, Parmesan cheese, and garlic powder! 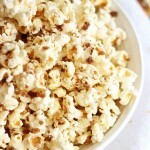 Drizzle the melted butter over the popcorn, and toss gently to evenly coat. 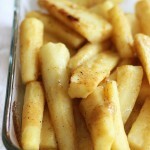 In a small bowl, combine Parmesan cheese and garlic powder until thoroughly blended. 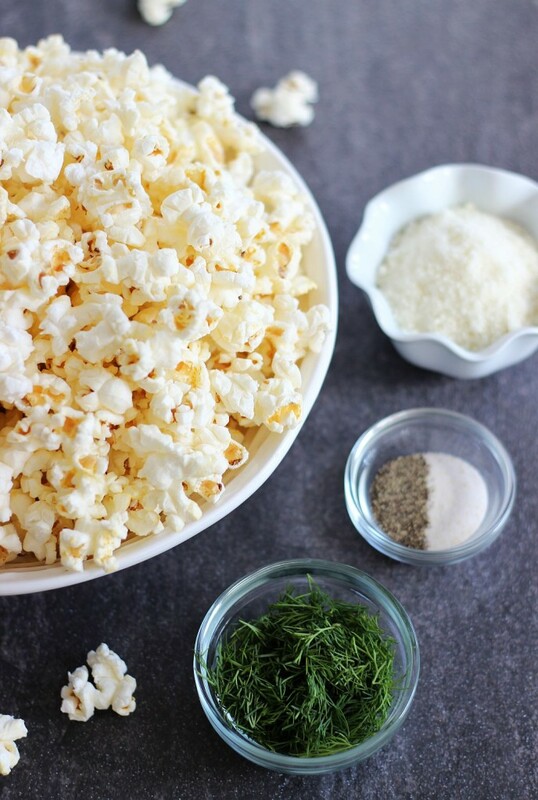 Spread the Parmesan cheese mixture and the fresh dill over the popcorn, and toss gently to evenly coat. Btw, popcorn doesn’t really ‘pop’ in photographs. Pun intended. These were tricky. Hopefully it looks yummy?? I was just thinking how great your photos were today when I read your last line! So don’t worry, it looks good! Of course, popcorn always looks good to me, and if you keep posting these things, I’m going to be even more obsessed with it than I already am. And I didn’t think that was possible. Why have I never played with flavours on popcorn? I’ve obviously been missing out! 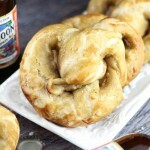 Cannot wait to try these last two recipes!! This savory popcorn looks fantastic, Sarah! I love experimenting with flavors too, though I haven’t done it in forever! I am so loving the parmesan and garlic. I’m a garlic addict, so this is right up my alley. Sounds delish! I am a girl who gets fixated too, and I am totally loving this popcorn! YUM! 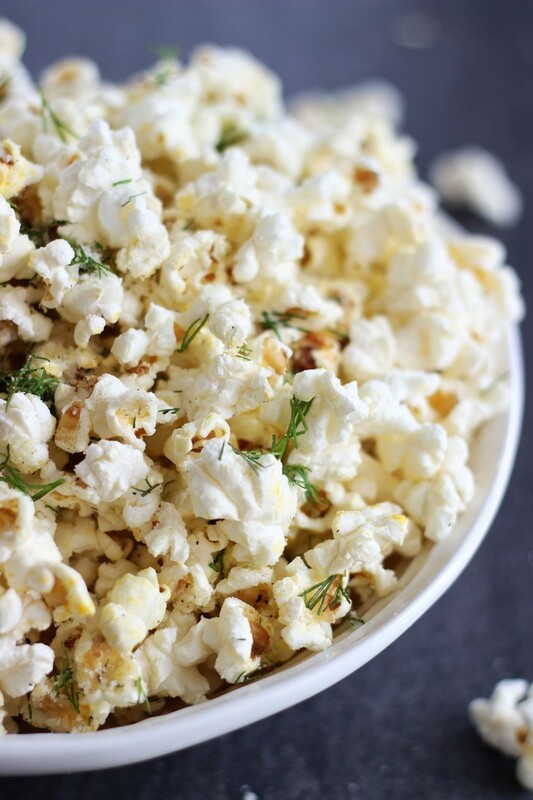 This popcorn looks so good and would be a perfect snack to eat while watching the Super Bowl! I get that way with foods as well. I am on a soup kick right now and keep thinking of all these soups I want to make. Lol! Soup is a really good kick to be on! I loooove soup. It’s the perfect time of year to be enjoying all different kinds of it too. Funny how we sort of fixate, right? Thanks, Alyssa!! I LOVE popcorn. I’ve been telling myself I should eat more of it in fact… it’s a whole grain, right?? Better than the bag of chips I’d LIKE to consume. Lol. This looks amazing! Lol! That’s how I justify it to myself too! Popcorn is a healthy whole grain snack! Hey, there are worse things!! 🙂 Thanks, Ashley!! Provided just in time for my Sunday binge Netflix day! YEEEES! Saturday night treat for us! Thanks for sharing at The Creative Collection Link-Up! Sarah, the photos are gorgeous! 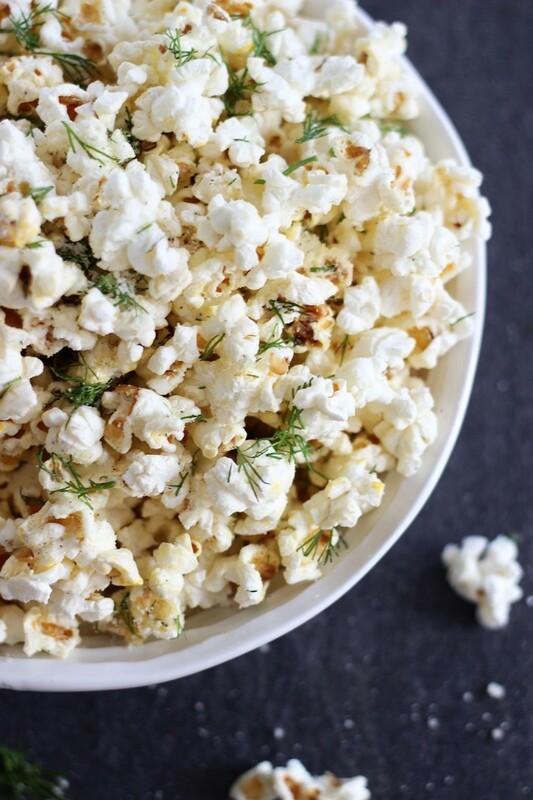 🙂 I love garlic and dill and I bet it tastes awesome in that popcorn! Pinned and have a great weekend! Girl, those pics are absolutely amazing! 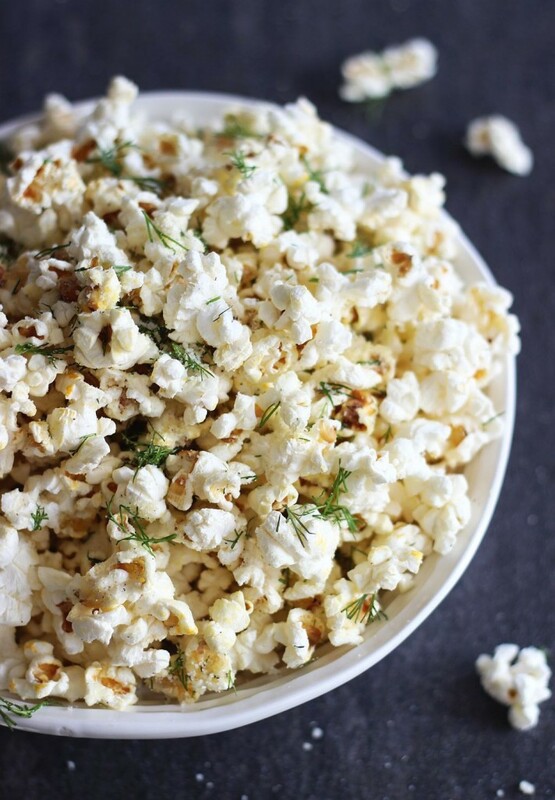 And dill and parmesan on popcorn…I’m totally gonna try that!! Wow this looks like such a great recipe! I can’t wait to try this one for a movie night. Thank you!